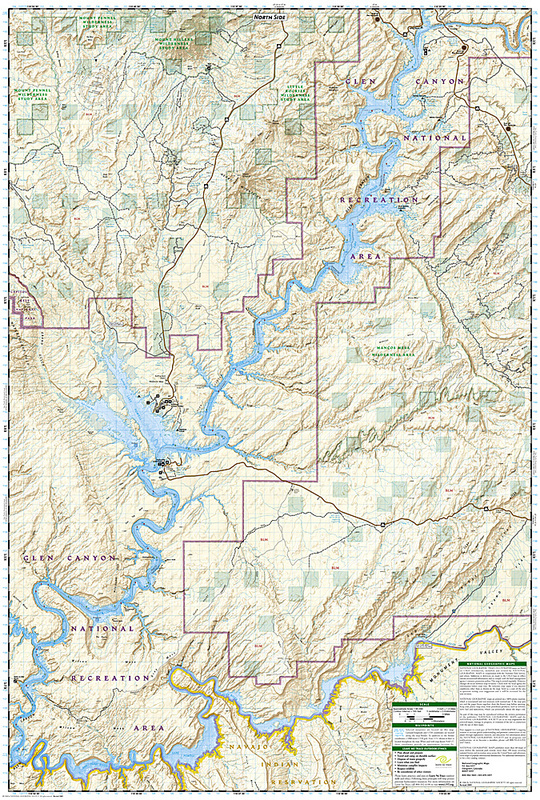 Glen Canyon NRA [ti213] - $10.95 : Trail Explorers Outpost, Keeping the Adventure Alive! 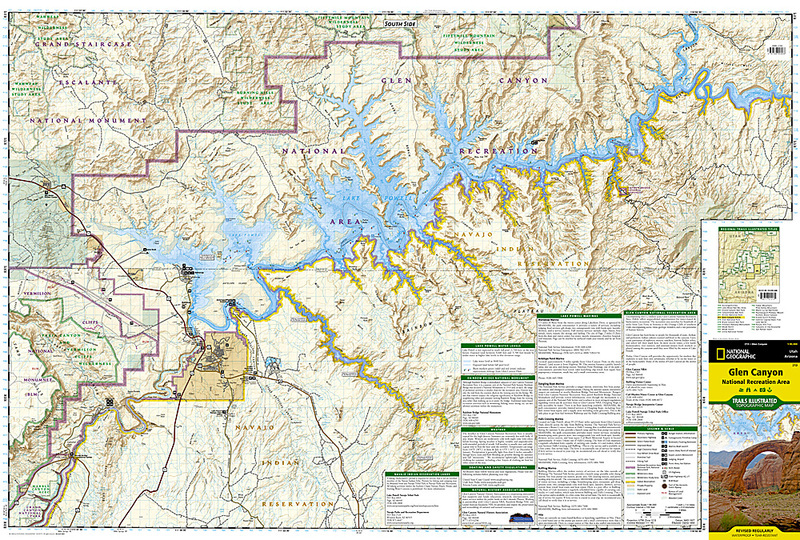 Our Glen Canyon NRA, Capitol Reef NP, and Rainbow Bridge NM Trails Illustrated map provides detailed topographic coverage, trails, and locations of important recreational points of interest for outdoor enthusiasts. Inset maps for Hite, Halls Crossing, Dangling Rope, Bullfrog Bay, and Wahweap marinas and campgrounds show the location of key facilities such as boat ramps, RV campgrounds, laundry facilities, and parking. Like all Trails Illustrated maps, our Glen Canyon title is printed on durable, waterproof, tear-resistant material that will stand up to the elements. Selected locations on the map are shown with GPS waypoints for use with handheld GPS receivers.